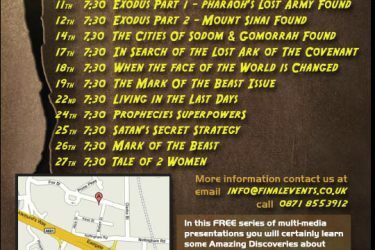 A two-week series of seminars on the discoveries of biblical archaeology is being held at Fort Landau College in Derby, England this month. The meetings will be held at 7:30 pm. You can email for more information to info@finalevents.co.uk or call 0871-855-3912.